Update on Jayam Ravi’s Sangamithra. 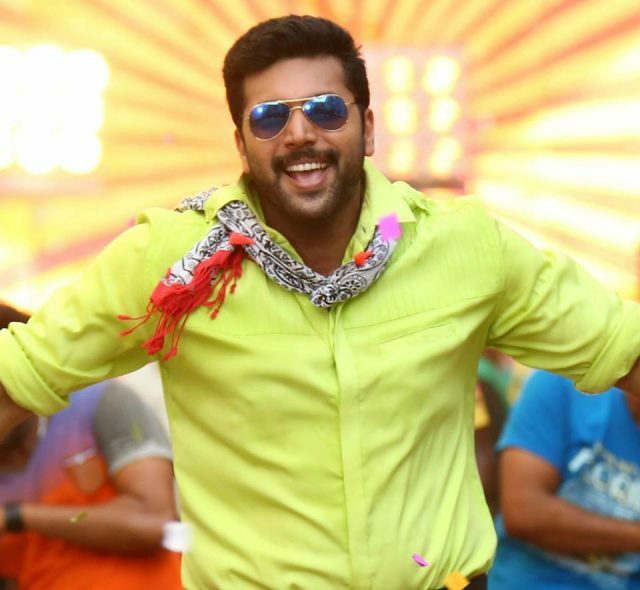 According to the latest reports, actor Jayam Ravi—who is quite a popular name in Tamil Cinema—is all set to dedicate nearly two years of his life to his highly ambitious ‘Sangamithra’. As part of his preparations, the star will be undergoing a physical transformation. Moreover, he is going to be learning martial arts and sword fighting in order to do justice to his role. If all goes as planned, he will be focussing exclusively on ‘Sangamithra’ after wrapping up the shoot of ‘Tik Tik Tik’. Interestingly, the posters of the film were unveiled at Cannes amidst much fanfare. Initially, Shruti Haasan was supposed to play the lead in the Sundar C directorial. However, some time ago, she walked out of it as she didn’t get a bound script. “It is a project that I am no longer a part of so, I wouldn’t like to elaborate on it further. I like to have a firm and clear idea of a script and a character – that’s how I work. And if that doesn’t happen, then I move on to the next things. But, I wish the team all the very best. I am sure it is going to be fantastic,” she said after leaving the project. On a related note, this is a busy time for Jayam Ravi. He is currently gearing up for the release of ‘Vanamagan’. Touted to be an action film. It has been directed by AL Vijay and also features Sayyeshaa in the lead.